So after making soft shell crabs, I was hesitant to buy them again because I just didn’t like the feeling of their soft bodies wriggling under my fingers. 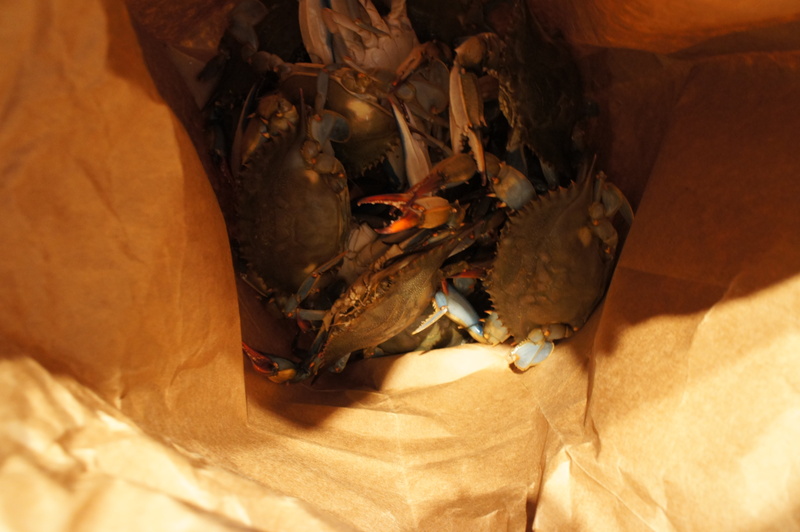 After talking to the nice gentleman at the farmer’s market, he handed me a wriggling bag of Maryland Blue crabs and told me to throw them in some boiling water for 6 minutes. Little did I know that wriggling bag was filled with 14 of those snappy little buggers. 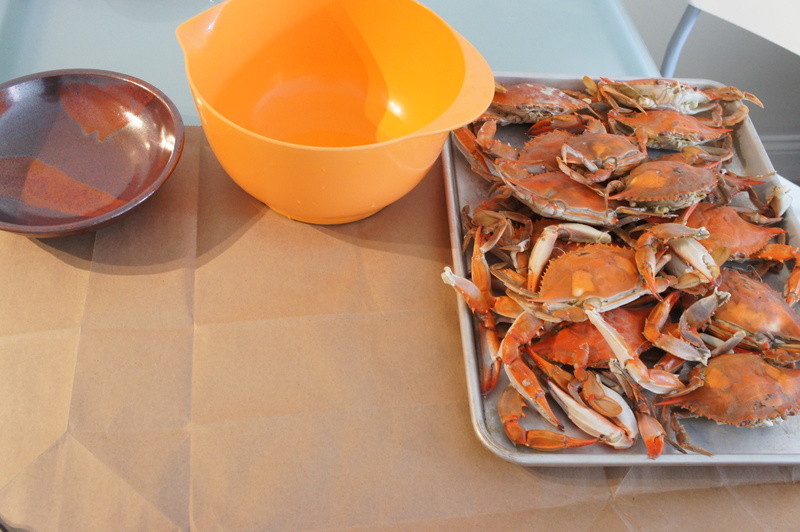 It took me forever to boil the whole passel of them… mostly because I only had two pots and each only fit 3 of the crabs. And then I sat at my table patiently cracking and piling crabmeat into a bowl. Ladies and Gentlemen… there was a reason I always hated crab shacks… it’s just such godawful trouble for a teensy bowl of crabmeat! 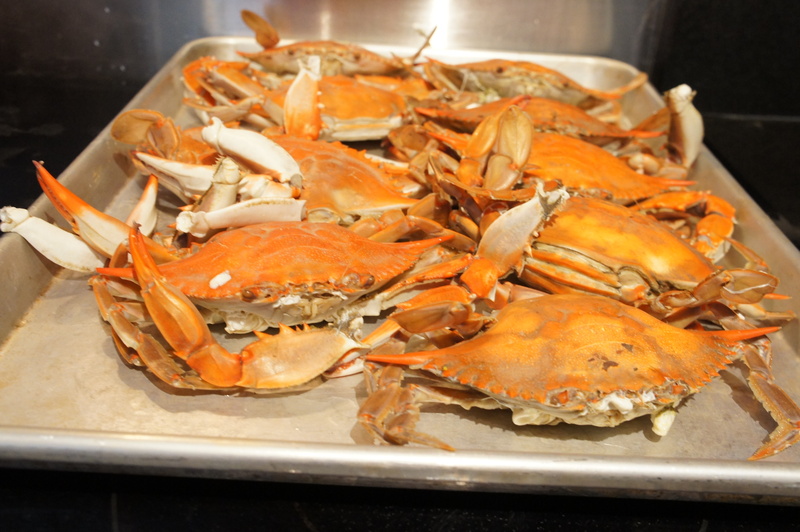 And I smelled like seafood… and my apartment was just a little cloud of crabby smell. Don’t get me wrong, the crab was the best I have ever had… but I don’t think I’ll be doing this again any time soon.